Atassi Foundation's inaugural project will first be shown as part of Art Dubai Projects, 16 - 19 March 2016. Produced by Hala Alabdalla and Khaled Barakeh. Atassi Foundation’s inaugural project, A Syrian Chronology, will first be shown as part of Art Dubai Projects (16 - 19 March 2016). Produced by Syrian film director Hala Alabdalla and artist Khaled Barakeh, the commissioned mixed media installation will utilize the Foundation’s extensive archival material from Atassi Gallery’s 30 year history to weave together the story of art in Syria. The audio visual spectacle includes various mediums and techniques including showcasing actual artworks, the use of multiple large-sized screens showing specially produced short films, accompanied by music, light and voice effects to ensure that the various elements of the installation work together in harmony. The installation aims at providing a comprehensive summary of art in Syria starting with the contemporaries, working its way back to the modernists and pioneers of art in Syria. The proposed installation shall invoke the curiosity of the audience to know more about art in Syria in general, particularly the works of contemporary young artists who have in recent years used their art in the face of death and destruction. For over 30 years, Atassi Gallery had played a pivotal role in the development and promotion of Syria’s artistic scene both at home and abroad. Throughout its history, the Gallery represented and exhibited some of the country’s most important artists and thinkers of that time, many of those having become icons of Syria’s modern and contemporary art movement. In addition, the Gallery produced several key publications including Fateh Moudarres’s first monograph and the first publication outlining the history of art in Syria, entitled "Contemporary Art in Syria 1898 - 1998." After this 30 year journey, and in light of the current circumstances in Syria, Atassi Gallery has decided to evolve to a non profit foundation that uses arts and culture to counteract the prevailing violence and destruction and to contribute to the building of the future of Syria. Atassi Foundation is an independent family foundation that aims to promote and support Syria’s past legacy and its future creative talent. 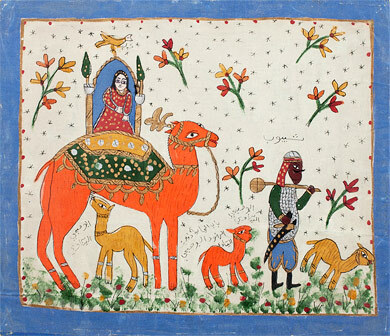 Its unique private collection, which contains over 400 artworks by Syrian artists, spans the history of art in Syria from the beginning of the 20th century throughout its modern and contemporary movements. Atassi Foundation strives to promote Syrian Art by organizing exhibitions and conferences, publishing books, as well as providing grant-making programs to enable Syrian artists, art critics and historians seeking residencies for the production of new work. The Foundation’s unique collection will also be a means for research and collaboration with regional and international museums organizations.